I was watching True Blood the other day and in the episode, Sam, one of the characters cooks up some hoecakes using bacon grease and it sent my tummy rumbling right away! I've heard of hoecakes before, but never tried them nor made them - but I knew I had some bacon grease that I reserved on hand, so I set forward to making them immediately. I found this recipe from Paula Deen, and with the simplicity of the recipe and all of the rave reviews, I knew I had to make them. They were as simple as can be, just mix all together, fry them up and then enjoy! I think the bacon grease is imperative; it adds this salty dimension and the hint of bacon flavor is simply divine with the maple syrup. The hoecakes themselves are toothsome and hearty. They're opposite to a pancake completely! They're not fluffy but rather thick and heavy due to the cornmeal, but in a good way. I enjoyed mine with some maple syrup but these are wonderful because you can enjoy them sweet or savory. Mix the flour, cornmeal, eggs, sugar, buttermilk, water and bacon grease until well combined. Heat the oil or butter in a medium or large skillet over medium heat. Drop the batter, by full tablespoons into a hot skillet (use about 2 tbsn. 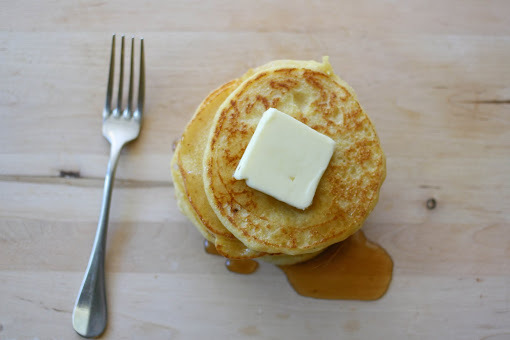 of batter per hoecake). 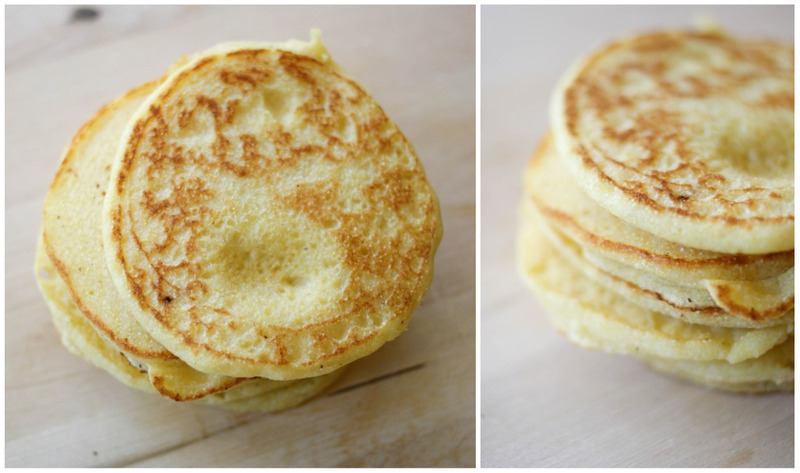 Fry each hoecake until brown and crisp, then use a spatula to turn the hoecake and brown the other side (about 3 minutes per side). 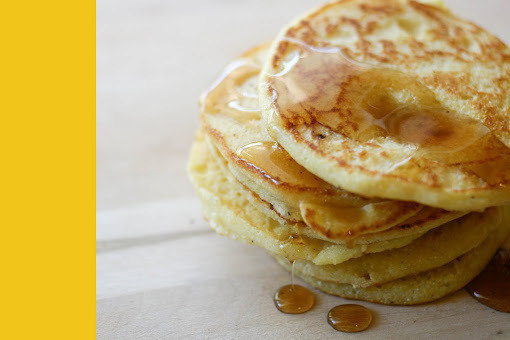 With a slotted spoon, remove each hoecake to drain on a paper towel-lined plate. yummy! lovely photos. 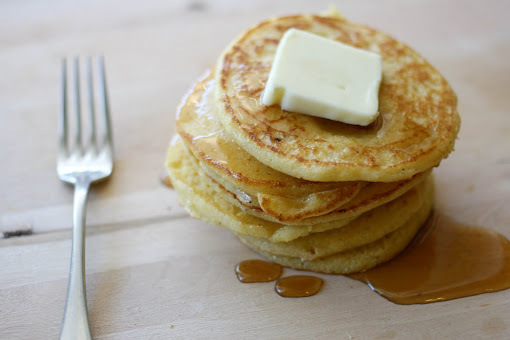 i may just have to make these for breakfast tomorrow! I should try to make them...they looks soo...american! right??? thanks for the hair love Michelle! glad you like it! and these pancakes look DIVINE! a little tip i read recently (on chronicle books' blog, i think? 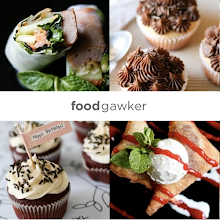 ): use a blow-dryer to make the butter melt on cue for your pictures! 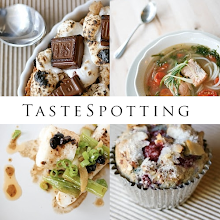 I saw this picture on Tastespotting and had to comment! My grandma used to make these for us when I was little. We called them flapjacks (some people call pancakes that) and ate them with molasses. Great job! I totally thought this would be a Southern blog! Sadly I don't eat bacon anymore but this sounds amazing and the True Blood connection makes it even better XD. lol!! I was watching true blood and googled hoe cakes and found this page..how awesome!! thanks for the recipe I am going to try to make these they look yummy! !